For thousands of years, various plant extracts have been used to treat different human conditions. This is the use of essential plant oils along with plant base oils, generally almond oil, to be used with a deeply relaxing Swedish massage. At our Sydney massage clinic we select a combination of essential oils after consultation with you to help heal and renew the body. We may use calming oils like clary sage, fennel or lemongrass. Essential oils are the concentrated extracts of plants that display many qualities. Lavender for instance is effective in healing skin when it has been damaged or irritated. It is also very relaxing as chemicals from lavender essential oil tend to switch the brain into a relaxed mode. For people with aching muscles we may use black pepper and wintergreen that seeps deep into the muscles helping them relax and let go of the tension. If you have sinuses we may use oils like lemon or teatree (cajuput). Oils permeate through your body to your nasal system and help you breathe more easily. For depression we may use orange, neroli or ylang ylang that helps lift the spirits. For men, we may blend more earthy oils such as rosewood, oakmoss and cinnamon that help soothe the male hormonal system and help men relax deeply. For women, lavender is very good at helping dissolving the stresses and strains of everyday life. We also do lymphatic drainage massage to help release the built-up fluid that occurs before menstruation. An aromatherapy massage lasts for 90 minutes and includes full body, face and scalp. There is a selection of many essential oils from which we blend a particular mix to suit you personally as an individual. After you have an aromatherapy massage you feel better as both the massage and the oils have been working for you during the session so you experience a sense of calm and wellbeing. 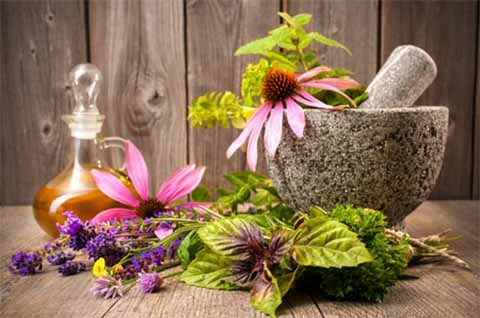 All aromatherapy massage treatments are carried out at our massage clinic in Sydney by Dr Tracie O’Keefe, DCH, BHSc, ND, who has more than 30 years’ experience as a massage therapist.